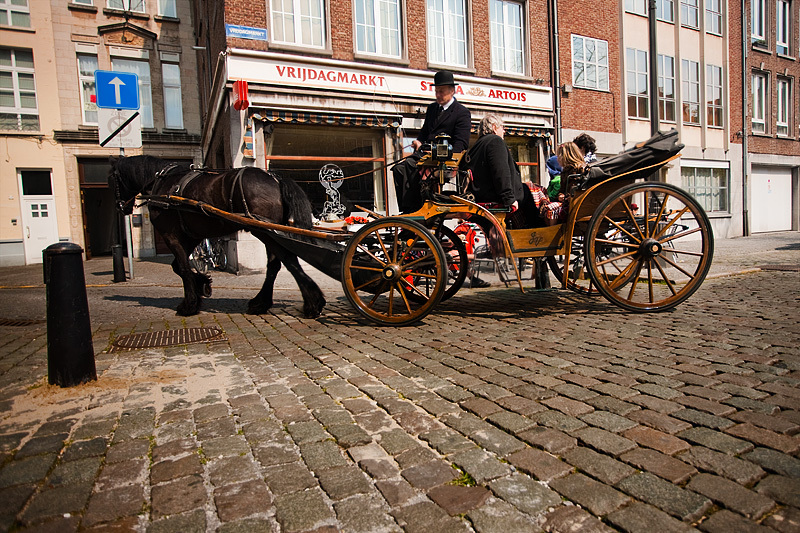 A horse and buggy cart tourists around Vrijdagmarkt Square. One of the greatest things of living in a Dutch-speaking area is that if you concentrate hard enough, you can almost understand written Dutch language due to its close relationship to English. As with any country I visit, I try to pick up a basic understanding of the local language, particularly how to pronounce the words I read/hear on a daily basis. Pronounced in Dutch, "ij" sounds like the "ai" of samurAI so Vrijdag sounds a bit like "Friday". Markt simply looks like its English equivalent, "market". Vrijdagmarkt was historically a special second-hand market held each Friday. During WWII, a direct hit from a German V2 rocket destroyed the square but it has since been restored to its original beauty. The second-hand market still continues to this day. 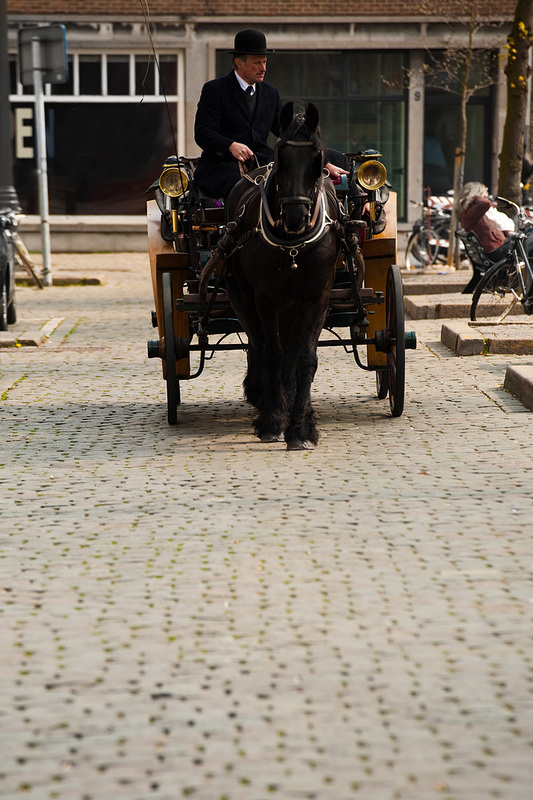 A horse and buggy makes a sharp right turn in front of the Vrijdagmarkt Cafe. I'm loving the cafe culture in Antwerp! Public squares generally have several cafes or bars on its periphery with local patrons initiating some medium to heavy drinking at alarming hours in the morning. I can't blame them. With beer this tasty, even I willfully "fell off the wagon" and am now enjoying a refreshing glass of Antwerp's own De Konnick on occasion. A local bar, Kulminator, reportedly has 500 beers on the menu. As a traveler interested in the local culture (pun, thankfully, unintended), I deem it my job, no, my duty to sample as many of the local beers at that bar before I leave Antwerp.